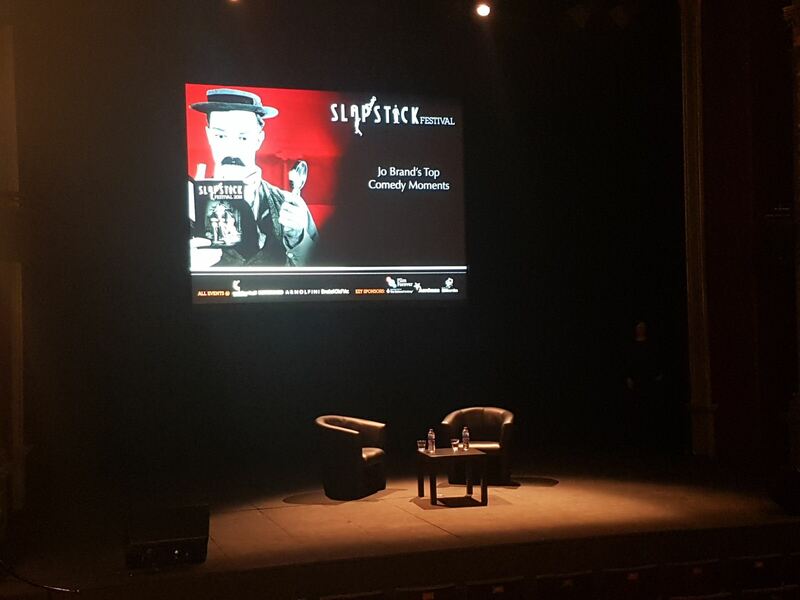 Slapstick Comedy Festival 2018 at the Colston Hall, Bristol - Evans Audio Visual Staging Ltd.
Evans once again provided their technical services for the Slapstick Comedy festival across Bristol last weekend. 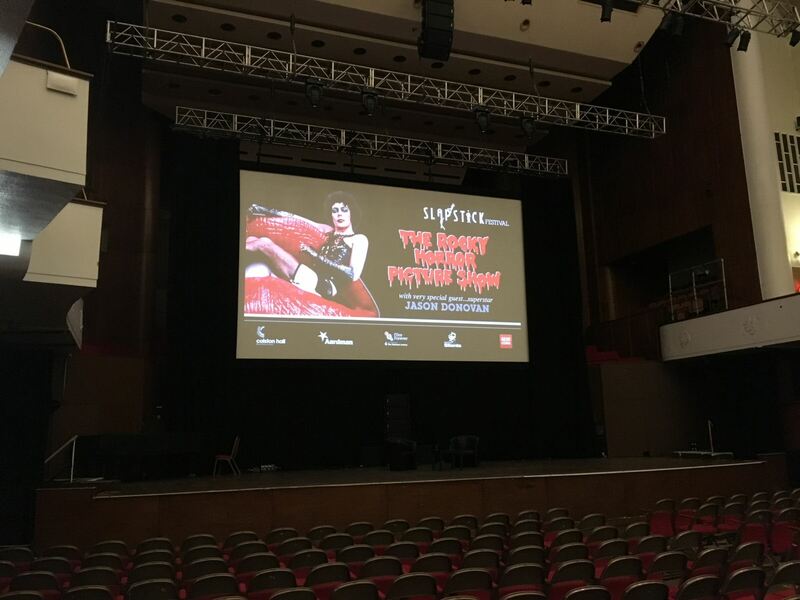 At the Colston Hall, Evans built their custom 30ft screen solution. 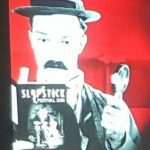 The screen is tab tracked for easily adjusting the aspect ratio between 4:3 and 16:9. 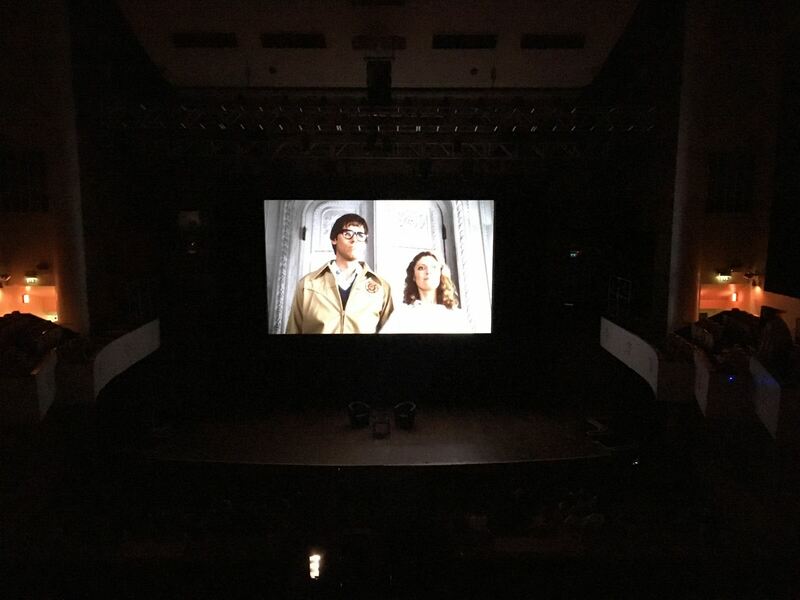 Over at the Bristol Old Vic, two 10k Panasonic projectors were overlayed and video played back on Sony DigiBeta.